There’s plenty to learn from the final holdout of the once ubiquitous franchise. Once upon a time, not so long ago, magical establishments called video stores could be found throughout the land. Instead of picking movies to watch at home by scrolling through streaming services while sitting on your couch, you would go to a brick-and-mortar building where you’d wander the aisles in search of the perfect film — and then hope it was in stock. Though there were other chains, as well as local stores, the iconic yellow and blue Blockbuster stores were the most popular. But all good things must come to an end, and that was true for Blockbuster’s reign as the leading purveyor of at-home entertainment options. With the advent of Netflix’s DVDs-by-mail service, then movie downloads and eventually streaming, fewer and fewer of us wanted to make the trek out of the house to pick a movie. 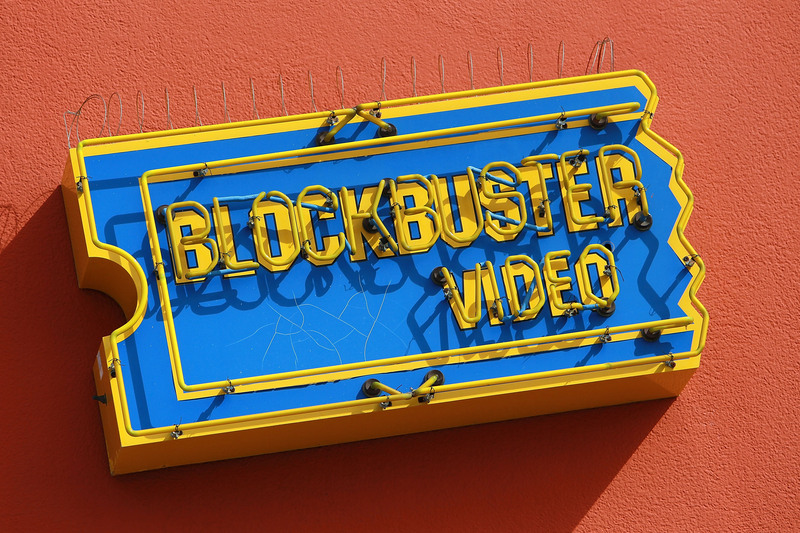 At this point, there is only one Blockbuster store remaining in America. Come April 1, it will be last one last in the world, when an Australian location closes at the end of the month. This raises the question: how has the Bend, Oregon Blockbuster withstood the test of time and continued to thrive? It comes down to a mix of creativity, adaptability, and a heavy dose of nostalgia. Clearly, the Bend Blockbuster has taken some steps important to stay open, and to a certain extent, that means rethinking parts of their strategy to focus on what gets people excited. For example, in addition to the video rentals, the Bend store now sells “The Last Blockbuster in America” T-shirts, cups, magnets, bumper stickers, hats, and stocking caps as an additional source of revenue. The same philosophy holds true for our careers: In order for us to be successful, we need to be ready to pivot in order to infuse our careers with fresh energy. Whether it’s learning a new computer program or adjusting to a new city after a move, it’s all about being flexible. Part of the appeal of a video store is being able to take your time, walking down each aisle examining the movies’ cases before making a selection. And it’s not just our entertainment: we’ve become so accustomed to direct-to-consumer experiences, whether it’s ordering dinner from Seamless, or groceries from Instacart, or cleaning supplies from Amazon Prime — we’re forgetting what it’s like to have tactile experiences. The Bend store gives people that experience, allowing customers to hold the plastic Blu-ray cases, walk on the aging carpeting, and do some great people-watching, also tapping into some Clinton-era nostalgia. For a lot of Gen Xers and older millennials, hanging out at a Blockbuster — or working at one — was an integral part of their adolescence. It provided a space to meet up, and pick out a movie and a few snacks before officially starting out the night (usually in someone’s parents’ basement). The way we consume entertainment media has changed considerably and is now largely a solitary activity. But thinking back to the social nature and function of a Blockbuster is a good reminder of the value of community and interacting with other people. Another part of the classic Blockbuster experience is relying on a store clerk — rather than an algorithm — to help you select a movie. Yes, computer programs may technically be more accurate, but nothing compares to having a full-blown nerd-out with a video store employee about the kinds of movies you like, and what they recommend that you watch next. The good news is that there are plenty of other opportunities throughout our day to interact with other people and ask them what they’re loving — we just have to make a point to do it.